1 Bedroom, 1 kitchen,1 Bathroom, Sleeps 2. The farmhouse goes back to the 18th century and is located North of Siena, in a strategic position for visiting the most beautiful landscapes, of which we have plenty in our province, like the area of the Chianti, San Gimignano and Volterra. This room is provided with a free kitchen, bath-room with shower stall, hair-dryer, set of complimentary toiletries, LED-television, fan, electric kettle for making hot drinks like herbal tea, air-conditioning and fridge. Free wifi and parking. We are Silvia and Marinella, sisters and owners of the B&B, and we look forward to host you at our home with true pleasure. Let the B&B “Gli Archi” take you on a trip to Siena’s glorious past. The hotel is located up high in the northern part of Siena, so you can enjoy a great view of the surrounding countryside and Tuscan hillside. The medieval and artistic treasures of Siena’s famous historical center are just a few minutes away. 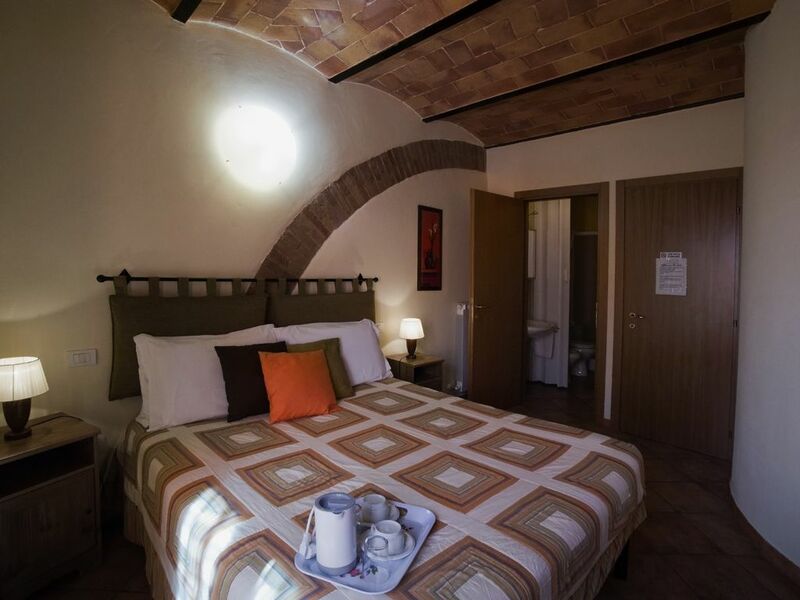 The B&B “ Gli Archi” offers a cosy and familiar atmosphere. Separate kitchen, with stove, refrigerator, toster and moka . Dining area inside the kitchen , 4 seats.